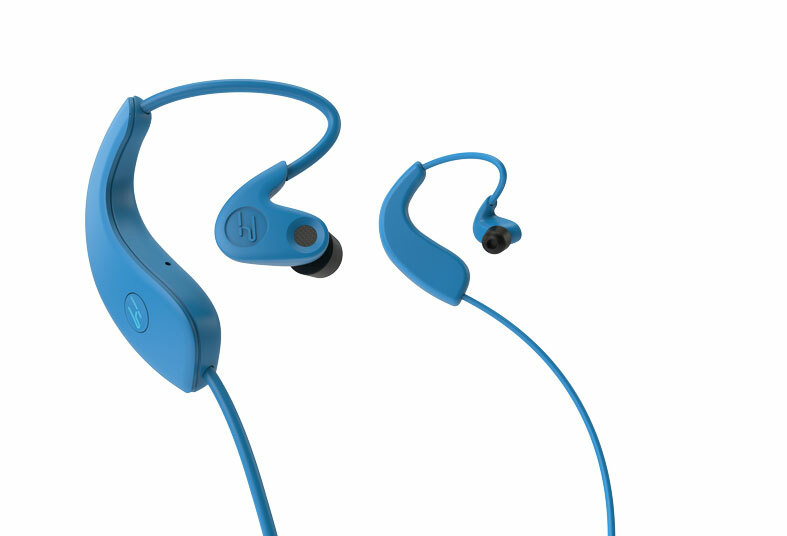 A new player has emerged in the blossoming 3D sound market, that aims to bring 3D sound recording aka binaural recording to the everyday punter in an ingenious but simple way, by adding a pair of microphone to wireless in-ear headphones – Hooke Audio. Listening to binaural sound is a simple affair. You’re well able to do so by watching one of the many Youtube clips featuring binaural recordings with a pair of headphones. Or if you’re in the mood for a night out with friends, you can hit up an Atmos equipped theater and watch the latest blockbuster on the big screen. You can even take it a step further by purchasing your own 3D sound home theater system. Ever since Dolby decided to introduce its 3D sound Atmos systems into home theatres manufacturers have been falling over themselves to produce Atmos enabled speaker systems. A number of those systems are already available for purchase, along with Auro-3D home systems that, (with Dolby), use wave field synthesis to produce and mix binaural sound. It’s become so popular that the AES just released a new standard for personal 3D sound production. But what if you want to record binaural sound? Well, that’s not as easy as putting on a pair of headphones… At least it never used to be. 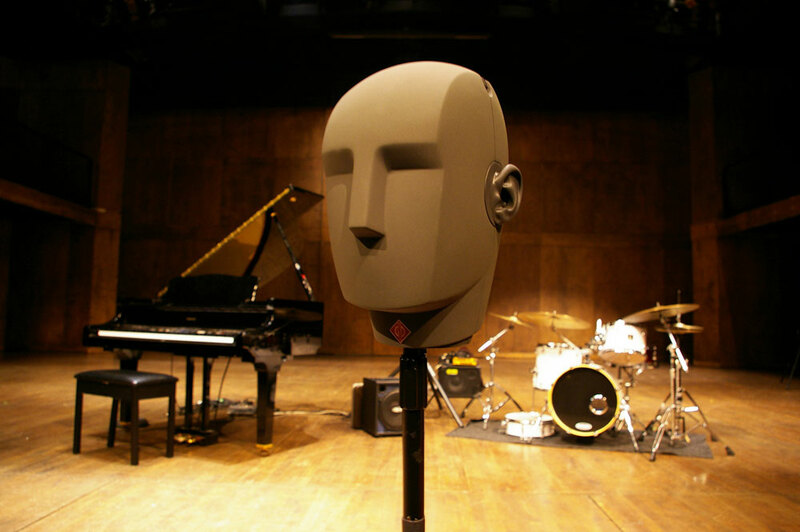 Traditional binaural sound usually takes quite a bit of preparation, and involves hooking up a pair of microphones to the ears of a dummy head. The Neumann system (pictured below) will set you back anywhere between $8000 to $10,000 depending on which country you purchase from. ‘Fritz’, Kall Binaural Audio’s Neumann KU-100 dummy head microphone. So, it’s really a studio purchase and not the kind of thing a teenager can lug into an arena to share some videos of when they saw the Foos. This is where Hooke Audio steps in, by positioning its mics inside wireless ear buds it allows users to capture the sounds all around them. The company have also incorporated a mobile production app, that allows users to record, edit and trim their binaural recordings on-the-fly, then upload them via the app’s share function to Youtube, Vine, Instagram or to any other video/audio social media platform. Or even stream their recordings live and in real time. It means that anyone, anywhere with a mobile phone, and a pair of Hooke earbuds can make binaural video/audio recordings, which can then be experienced with ordinary stereo headphones or via a stereo speaker config (albeit not as dynamically). It goes a step further than just videoing an important event in your life, imagine having a binaural recording of your newborn’s first cry, or that time you went to see Iggy Pop perform in a small club? Yea… That’ll never catch on. Hooke is the creation of professional sound designer and composer Anthony Mattana, who raised the initial production funds on Kickstarter, earning over US$162,000 on a $100K goal. Mattana has had a lifelong love affair with sound, as a prolific musician/ film and television composer as well as a noted theatrical sound designer. 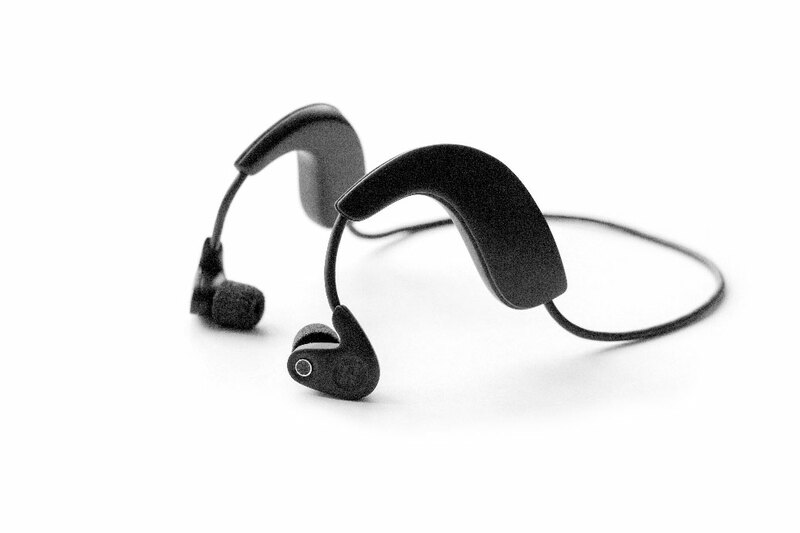 His ‘holy grail’ has been to find a way for the everyday user to re-create sound the way they hear it, ultimately leading him to develop the Hooke Audio mobile 3-D headset system. We can see this becoming a popular way for action/sports videographers to record themselves as they snow board or jump out of a plane. Having a GoPro, and a Hooke system recording sound, will make extreme sports videos even more immersive to watch. Just be sure to clap your hands in frame for syncing the audio to visuals in post. Or even indie filmmakers could pop a pair of these on a camera operator to give a whole new spin on POV shots. There’s even plans underway to incorporate it with the Oculus Rift and gaming. Is it just us, or is this all becoming a little too close to David Cronenberg’s eXistenZ? 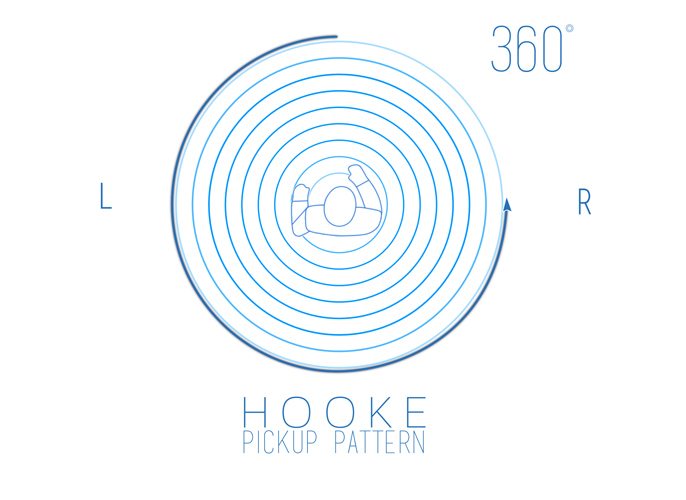 Hooke is available for pre-order with a price of US$139 (add an extra US$14.99 for international postage). The company expect to begin shipping in June, 2015.